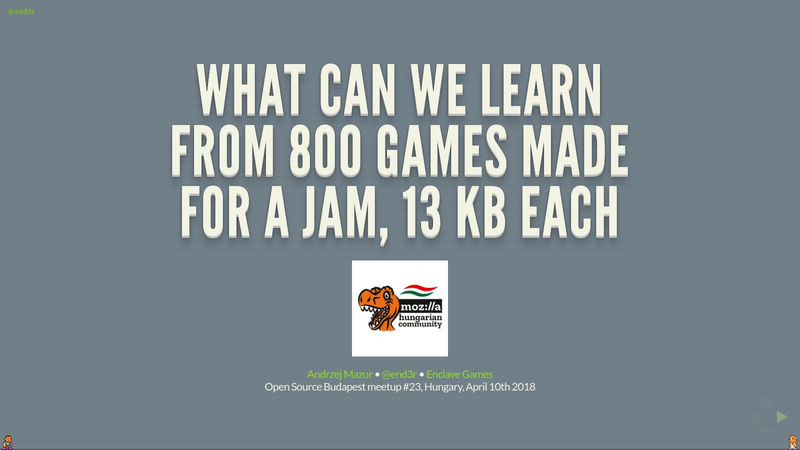 The Open Source Budapest meetup welcomes a very special guest on this upcoming Tuesday evening. 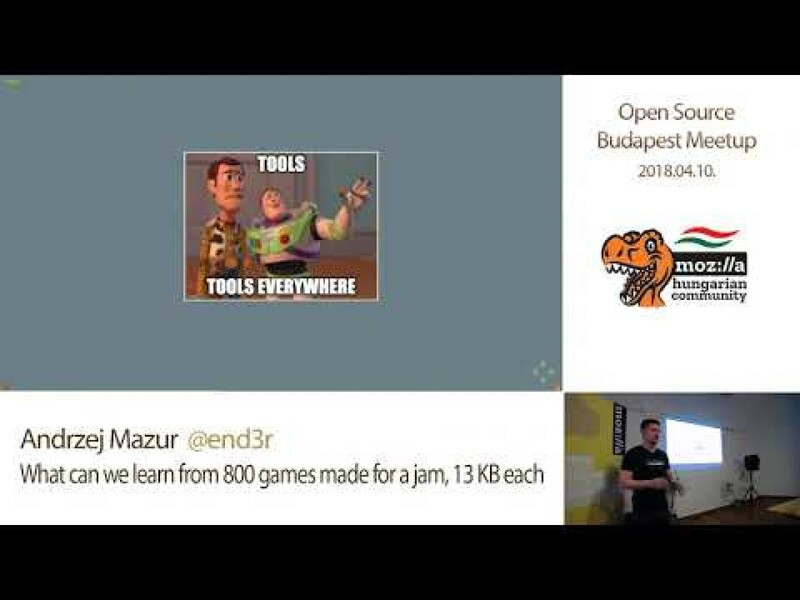 It was way back in 2014 that Andrzej Mazur was here in Budapest — back then he was speaking at the Hungarian Web Conference, about the browser’s Gamepad API and Firefox OS (yes, it was that long ago). The HTML5 Gaming Guru comes straight from Warsaw to shine the light of a slightly less technical side of webby games — he will be telling us what can one learn during 6 whole years (and counting!) of organizing a programming competition for tiny HTML5 games. Exciting, isn’t it?! Hope to see you there! The event is hosted at the Mozilla Hungary Open Source Community Space (D18 - Budapest VI., Dessewffy street 18.) on Tuesday, April 10. Gates open at 17:30. End3r puts presentations on for free. You can too.